Cobo Custody is a digital asset custodial services targeted for institutional clients. Clients enjoy the flexibility of choosing for a full hosting or a customized, collaborative hosting service. Cobo Custody provides 24/7 emergency alerts and is backed by multiple security systems. It is the comprehensive solution for safe-keeping, efficient transfer and a platform to grow your digital asset. Cobo Custody utilizes cutting-edge Hot-Cold server separation technology that dynamically allocate assets to minimize risk and Hardware Security Module (HSM). Cobo Custody also offer customizable multi-signature cards. Deployment is only a button away! 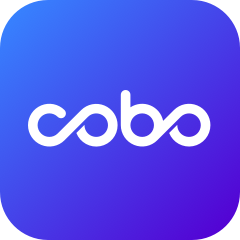 With access to over 30 public chains and over 700 tokens, Cobo Custody provides an easy-to-use, comprehensive API interface and a web platform, allowing both technical and non-technical personnel to use Cobo Custody effortlessly. Cobo Custody offers customization to tailor to individual client's needs. Clients can customize the locations to store their private keys, the respective access rights to their Custody, Hot and Cold wallet option etc.